Parc Life EC is a new executive condominium that situated in Sembawang Avenue, District 27 of Singapore. 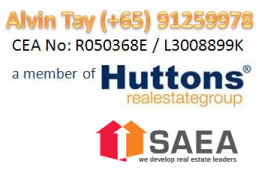 This property is developed by Fraser Centrepoint jointly with Keong Hong. Housing a total of 620 units, this 99-year leasehold property is expected to TOP in 2018. Parc Life is a luxurious home that most property-seekers want to own. They have units that’s a fine, refined interior and is well equipped with the most recent furnitures to give the most comfort which you really deserve. The facilities that are major additionally enables you to possess an enjoyable and convenient day-to-day tasks. The list contain a 50-m lap pool, a children’s playground, jacuzzi, leisure wadding pools, outdoor BBQ pits and an awesome landscape. An extensive array of amenities is close to the property. Schools, shopping malls as well as leading destinations are within a couple of minutes away. Drive your way and revel in a weekend of shopping in the nearby shopping mall that contain Vista Point, causeway Point, Northpoint, Sun Plaza and Sembawang Shopping Centre. You can even get your path to the premiere Orchard Shopping Belt right away. The Central Business District is within close proximity to the property. Schools including Sembawang Primary School, Wellington Primary School, Ahmad Ibrahim Secondary School, Spectra Secondary School and Furen International School are famous to offer the best quality of education which you along with your own family deserves. Medical institution like the Khoo Teck Puat Hospital is also a distance away. Nature lovers can get a fun nature-bonding with their family and friends as numerous nature parks are within a brief distance away. They are the Canberra Park, Vista Park, Yishun Park and Montreal Green. Avail of your very own unit and revel in the regal residence this property offers. Do not overlook the opportunity to own a luxury living space here at Parc Life EC. Parc Life EC is approximately 7 minutes walk away to Sembawang MRT station and bus interchange and is well connected to main arterial roads such as Sembawang Crescent and Sembawang Avenue. This new launch is also well linked to major expressways such as Bukit Timah Expressway (BKE), Seletar Expressway (SLE) and the upcoming North-South Expressway which will be ready in 2020. The newly revamped Sun Plaza shopping mall and Sembawang Shopping Centre are also near Parc Life, residents can enjoy shopping and dining amenities in just a short walk away. Residents can also take the train down to the future Northpoint City ( The current North Point Shopping Mall) at Yishun MRT station which is just 6 minutes away. Schools such as Sembawang Primary and Secondary school, Canberra Primary and Secondary School and Republic Polytechnic are also within close proximity. [/vc_column_text][vc_column_text]Frasers Centrepoint Homes (formerly known as Centrepoint Homes) is part of the Frasers Centrepoint Limited group (“FCL”, formerly known as Centrepoint Properties Ltd). Since 1999, FCL has been consistently setting high standards in quality homes it has built in both Singapore and overseas markets.Currently ranked among the top-selling developers in Singapore’s residential property market, Frasers Centrepoint Homes has delivered over 141,000 homes in the past 23 years. Its success is due largely to a mix of strong attributes – choice locations, well-timed marketing and sales launches, attractive pricing and constant product refinement. Frasers Centrepoint Homes’ remarkable achievements include the successful launches of high-profile residential projects such as Northpark Residences / North Point City, Eight Courtyards, Esparina Residences, 8@Woodleigh, Caspian, Martin Place Residences, Waterfront Collections at Bedok, Soleil @ Sinaran, St. Thomas Suites, The Azure (at Sentosa Cove), One Jervois and 8 @ Mount Sophia.